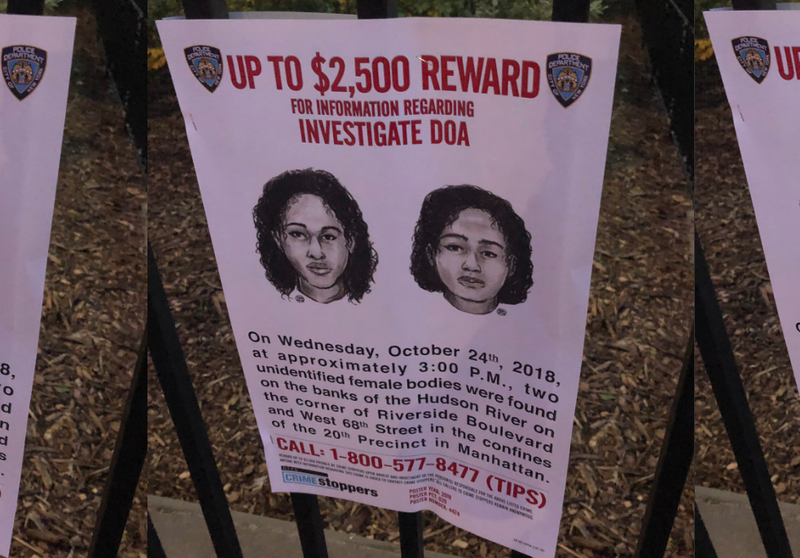 Gruesome details are emerging about the faith of 2 Saudi Arabian sisters, who were found washed up by the Hudson in Riverside Park last week. A man out for a walk found just below a small pier that juts out from the park at 68th Street the lifeless bodies of two young women, bound together by duct tape at their waists and ankles, last Wednesday. Police admit that they had not been in the water long. Both sisters were clad in similar black leggings and black jackets with fur trim, their bodies bore no obvious signs of trauma. Left without any detail as to their identity, the police noticed from a sketch that the two had striking similarities and thus worked under the assumption that they were related. Identified by their family two days later, the Saudi-born Farea sisters, Tala, 16 years old, and Rotana, 22 years old, were said to be duct taped one on top of the other in the shape of a cross. Tala and Rotana were two of four children of Wala’a and Abdulsalam Farea, who emigrated from Jeddah, Saudi Arabia to the US a few years ago. Both sisters were said to be “the apples of their father’s eye”. Police previously worked under the assumption the girls conspired in a suicide pact. two Saudi P'sos down, millions to go…. I think that's what happened also and they did the cross crap to throw off police.